Particular attention must be given in the case of young people, nulliparous women, men who have not yet been fathers and clients with mental health problems, including depressive conditions. All clients should be carefully counselled about the intended permanence of sterilization and the availability of alternative, long-term, highly effective methods. This is of extra concern for young people. The national laws and existing norms for the delivery of sterilization procedures must be considered in the decision process. Transcervical methods of female sterilization are not addressed in these recommendations. a) < 7 days postpartum A Clarification: If exploratory surgery or laparoscopy is conducted and the patient is stable, repair of the problem and tubal sterilization may be performed concurrently if no additional risk is involved. Current and history of ischaemic heart disease D There is no medical condition that would absolutely restrict a person’s eligibility for sterilization, although some conditions and circumstances will require that certain precautions are taken, including those where the recommendation is assigned as Category C (caution), D(delay) or S (special). a) History of gestational disease A There is no medical condition that would absolutely restrict a person’s eligibility for sterilization, although some conditions and circumstances will require that certain precautions are taken, including those where the recommendation is assigned as Category C (caution), D (delay) or S (special). There is no medical condition that would absolutely restrict a personâ€™s eligibility for sterilization, although some conditions and circumstances will require that certain precautions are taken, including those where the recommendation is assigned as Category C (caution), D (delay) or S (special). Clarification: If blood glucose is not well controlled, referral to a higher-level facility is recommended. Clarification: There is a possible decrease in healing and an increased risk of wound infection. Use of prophylactic antibiotics is recommended. Clarification: No routine screening is needed. Appropriate infection prevention procedures, including universal precautions, must be carefully observed with all surgical procedures. The use of condoms is recommended following sterilization. Clarification: The presence of an AIDS-related illness may require that the procedure be delayed. a) Hypertension: adequately controlled C There is no medical condition that would absolutely restrict a person’s eligibility for sterilization, although some conditions and circumstances will require that certain precautions are taken, including those where the recommendation is assigned as Category C (caution), D (delay) or S (special). Clarification: Elevated blood pressure should be controlled before surgery. There are increased anaesthesia-related risks and an increased risk of cardiac arrhythmia with uncontrolled hypertension. Careful monitoring of blood pressure intra-operatively is particularly necessary in this situation. a) > 30 kg/m2 BMI C There is no medical condition that would absolutely restrict a person’s eligibility for sterilization, although some conditions and circumstances will require that certain precautions are taken, including those where the recommendation is assigned as Category C (caution), D (delay) or S (special). Clarification: The procedure may be more difficult. There is an increased risk of wound infection and disruption. Obese women may have limited respiratory function and may be more likely to require general anaesthesia. a) Past PID (assuming no current risk factors for STIs) There is no medical condition that would absolutely restrict a person’s eligibility for sterilization, although some conditions and circumstances will require that certain precautions are taken, including those where the recommendation is assigned as Category C (caution), D (delay) or S (special). Clarification: If no symptoms persist following treatment, sterilization may be performed. 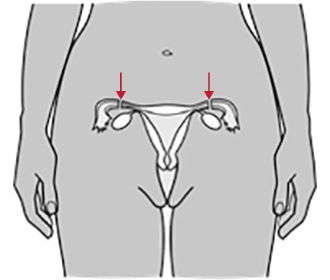 a) Non-pelvic A There is no medical condition that would absolutely restrict a person’s eligibility for sterilization, although some conditions and circumstances will require that certain precautions are taken, including those where the recommendation is assigned as Category C (caution), D (delay) or S (special). a) History of DVT/PE A There is no medical condition that would absolutely restrict a person’s eligibility for sterilization, although some conditions and circumstances will require that certain precautions are taken, including those where the recommendation is assigned as Category C (caution), D (delay) or S (special). Clarification: To reduce the risk of DVT/PE, early ambulation is recommended. Adolescents D Clarification: Young women, like all women, should be counselled about the permanency of sterilization and the availability of alternative, long-term, highly effective methods.